IMPORTANT: Please download the software and try it before purchase. Due to nature of the product no refunds are given. Use the 90 days free trial period to test the software before you buy it. There is no shipping of this product. 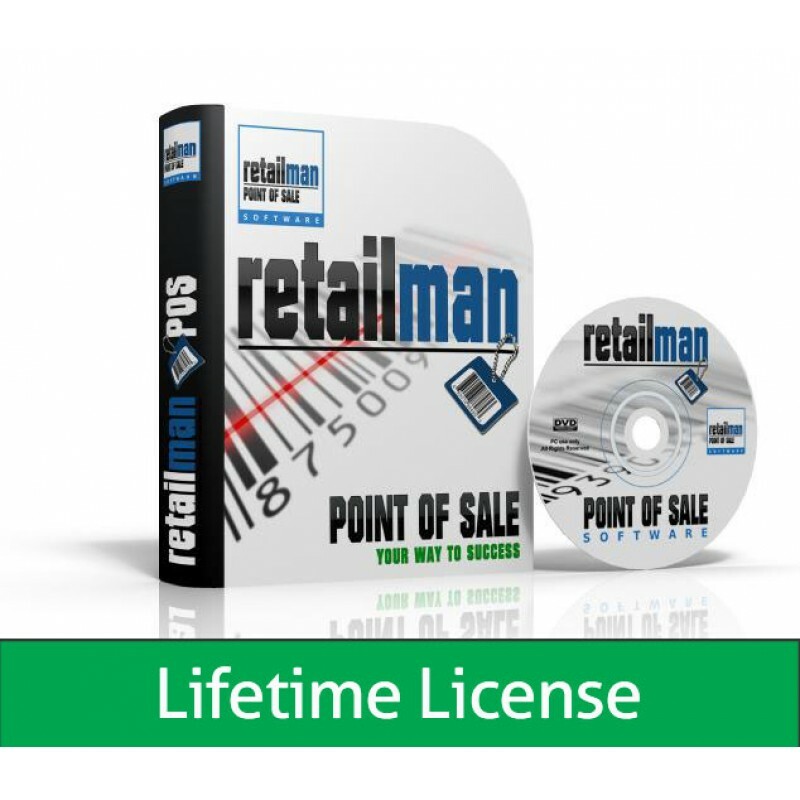 You are buying a lifetime license to use the software, which will never expire. It is a digital download of the software and you will receive your activation code by email. This is a digital product that you can download here for a free 90 day trial, no strings attached. RetailMan POS software converts your Windows PC into a powerful Point of Sale system with inventory control and accounting – no hidden extras. Multi-currency supported on POS and sales screens. 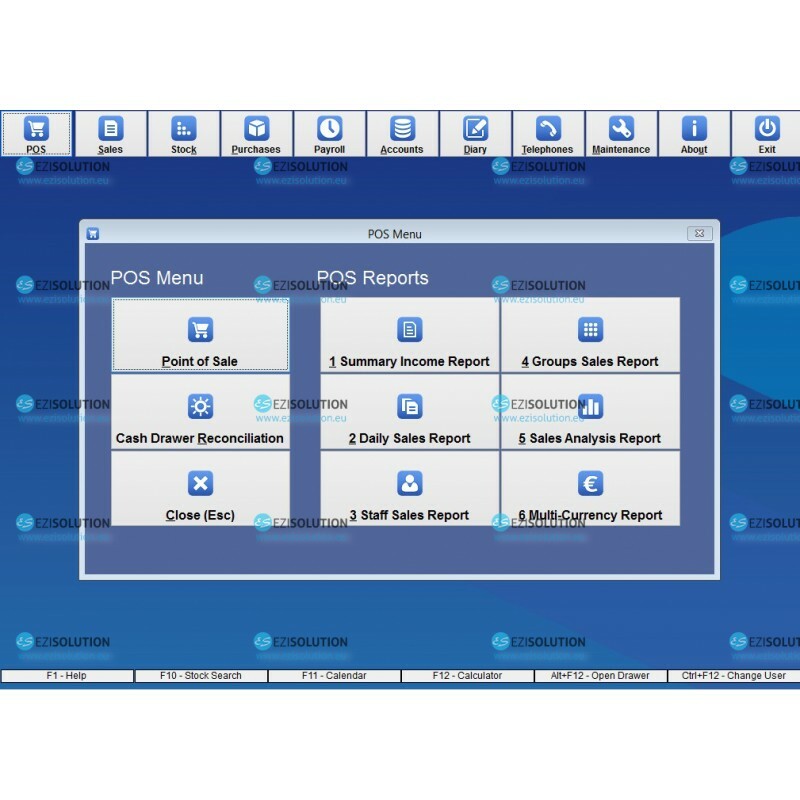 Attach standard POS hardware such as a Docket printer, Barcode Scanner, Cash Drawer, Pole Display, Scales and Touch Screen to create a powerful POS system with one or more POS stations. Most leading brands of POS hardware are supported. 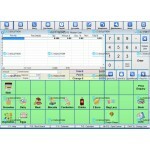 Retail Man has a simple user interface with powerful security, users access to different parts of the system can be restricted. Ideal for most shops, takeaways, restaurants and retail outlets. 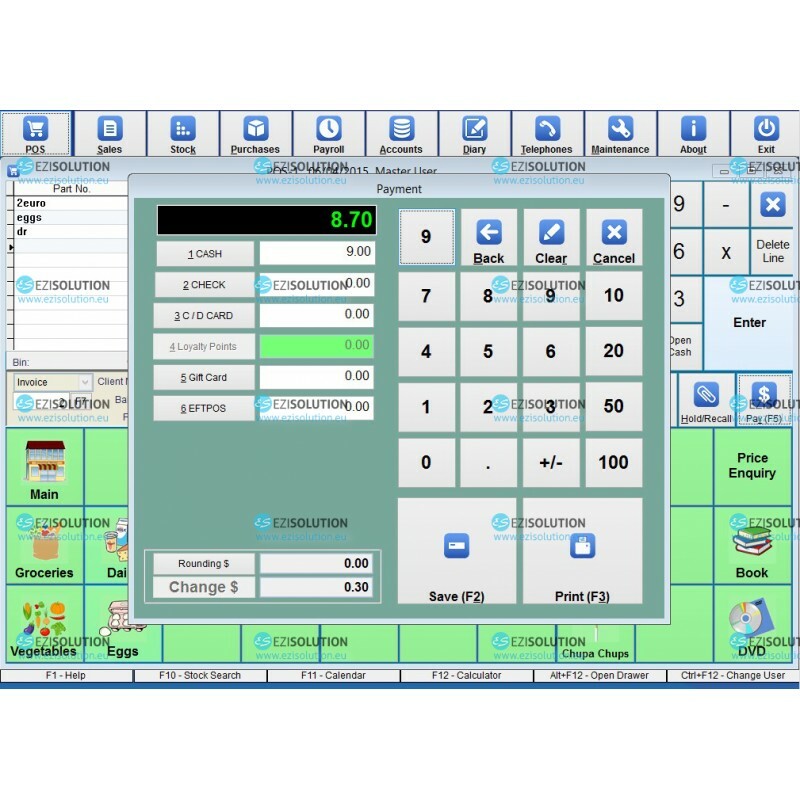 Can be used in multi-location environments with ability to view and manage stock and sales data of any location from any part of the system. Contact us for details on setup and licensing for such setups. 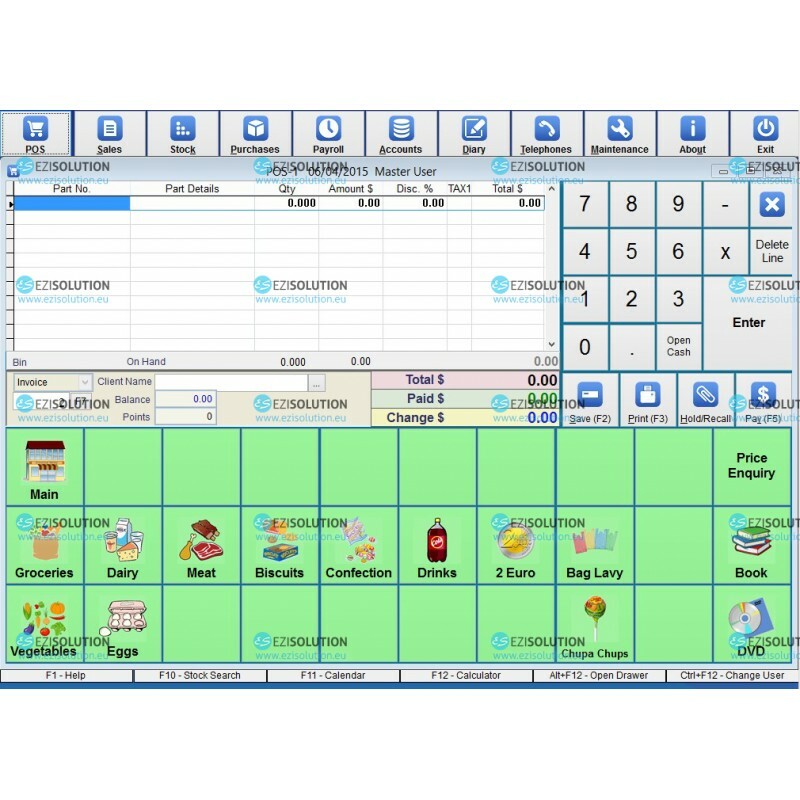 RetailMan POS software will help you to cut down drastically on hours you spend to control your business and spend it instead with family and friends.